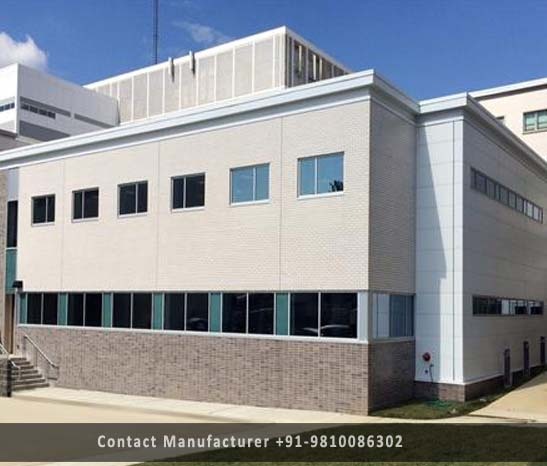 Prefabricated Health Centre Manufacturer in Delhi, Prefabricated Health Centre Supplier in Delhi, Prefabricated Health Centre in Delhi. There are some pressing issues that no individual, society as a whole or government can ignore, chief amongst which is healthcare. However, ensuring effective healthcare facilities for people requires health centres everywhere, from metro cities, towns, to even the smallest of villages. As you would have guessed by now, building health centres the conventional way everywhere is a task that is herculean to say the least. The alternative to this is the usage of Prefabricated Health Centres. Along with being comparatively much more easier to put in any place, these can also provide a certain degree of uniformity, a trait which is an absolute essential for structures for mass usage. As for the facilities, these can be included with facilities that are equal to that of the conventional built health centres.